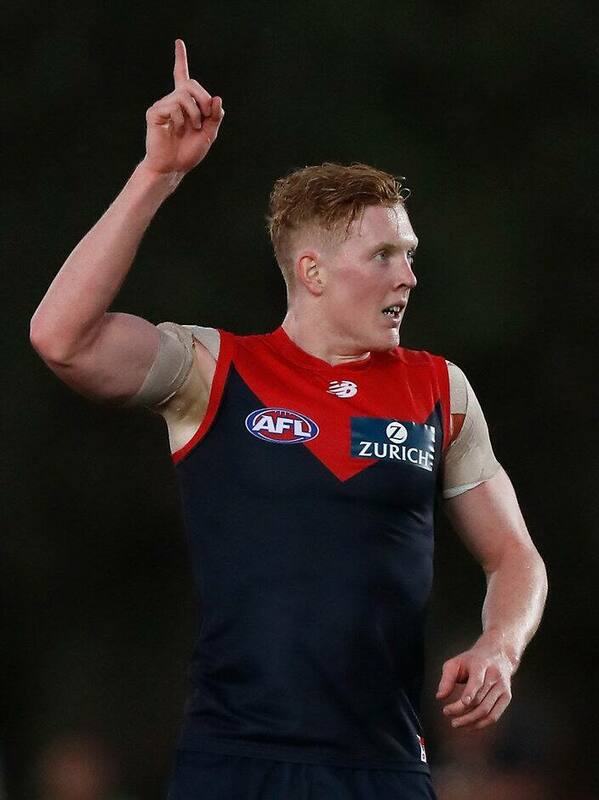 MELBOURNE has moved quickly to lock in midfield star Clayton Oliver for the long-term, extending the 20-year-old's contract through to the end of 2021. The club's reigning best and fairest was not due to come out of contract until the end of 2019, but has been rewarded for the brilliant start to his career with an extra two years added to his deal. Oliver has become a key member of Melbourne's midfield since being drafted with pick No.4 in 2015, and said he was pleased to remain in the red and blue for at least another four seasons. "It was the easiest decision of my life," he told the club's website. "The club came to me last week, and I talked to my manager and we got it done straight away, so I'm very happy. "The club's in a good place and on the way up, and I want to be a part of it, so I can't wait. It was an easy decision to stay and I can't wait for the next four years." The Demons head into the season as one of the most hyped sides in the competition thanks to a young and exciting squad, and the club has been able to tie down most of its talent to long-term deals. Christian Petracca, Max Gawn, Jack Viney and Jake Lever are among the Demons who will be at the club until at least the end of 2020, with Oliver's extension adding to the list of committed Dees. "We're very happy to get Clayton's extended contract done before the start of the season," general manager of football operations Josh Mahoney said. "The development we've seen in him, in two years at the footy club, is a result of his own hard work, along with the great work of our development coaches. "He's become one of the young up-and-coming midfielders in the competition, and he's already won a best and fairest for us, so we're excited to have him contracted until the end of 2021." Oliver has been battling a knee injury in the lead-up to Melbourne's season opening game against Geelong on Sunday, but has been cleared to play after a fitness test at training on Thursday.